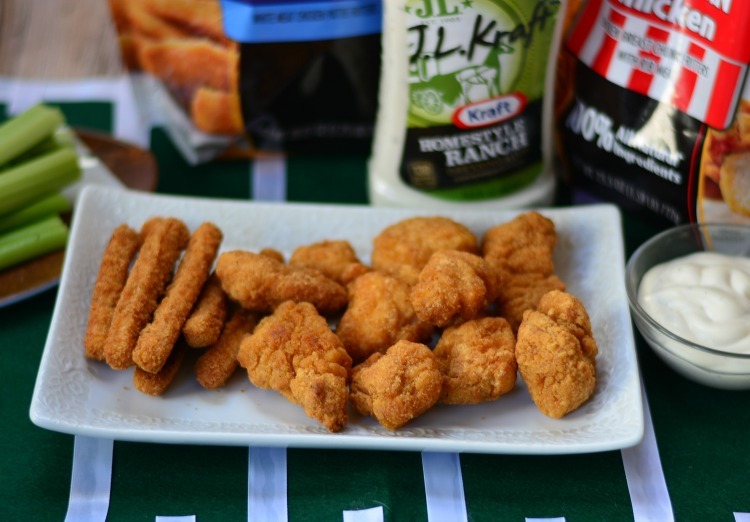 Baked flautas are quick and easy to make for your game day party thanks to Tyson Chicken Fries. 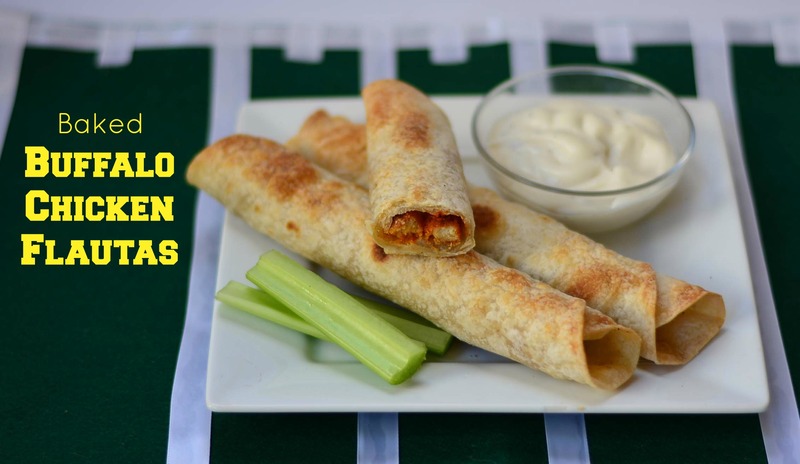 Just wrap the chicken fries, add buffalo sauce and cheese, wrap and bake for the perfect big game snack. Are you ready for game day in two weeks? My husband started planning his game day party sometime in September. I, of course, am left to actually put the plans in to motion. 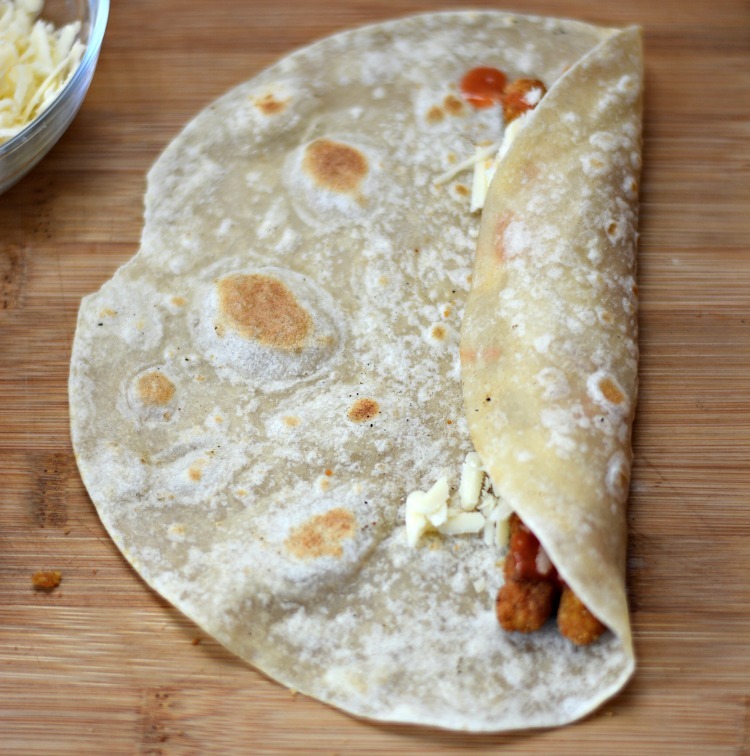 With a lot of food to make, I rely on recipes that quick, easy, but also delicious and Baked Buffalo Chicken Flautas meets all three requirements. While I was at Walmart picking up the Tyson Chicken Fries for the Flautas, I also picked up popcorn chicken and Kraft dressings and dips for dipping. I'll put a plate of the chicken fries and popcorn chicken out just plain for the kids or anyone else. 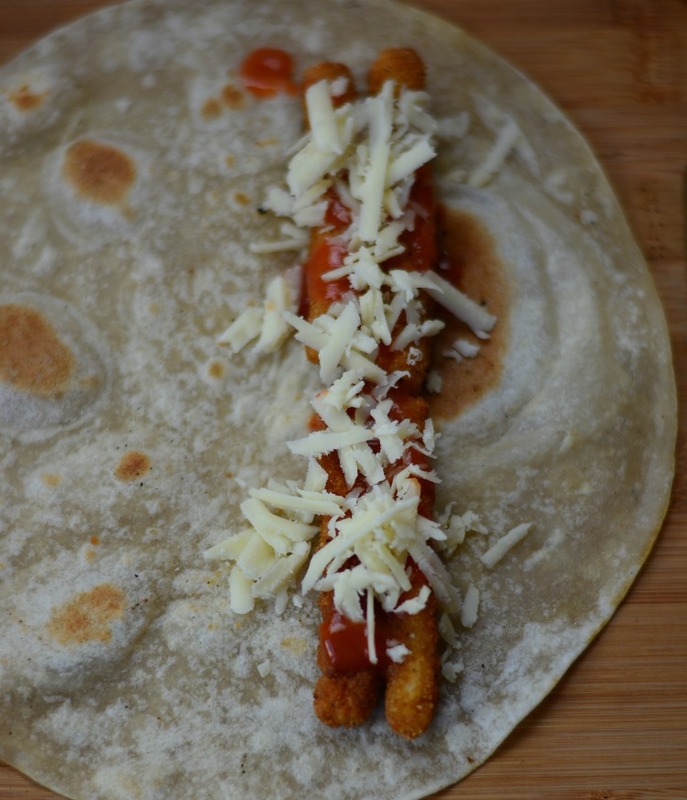 To make the flautas, you'll need some pretty basic ingredients – Tyson Chicken Fries, flour tortillas, homemade buffalo sauce, and cheese. Cook the chicken fries according to package directions and then let them cool enough to handle. 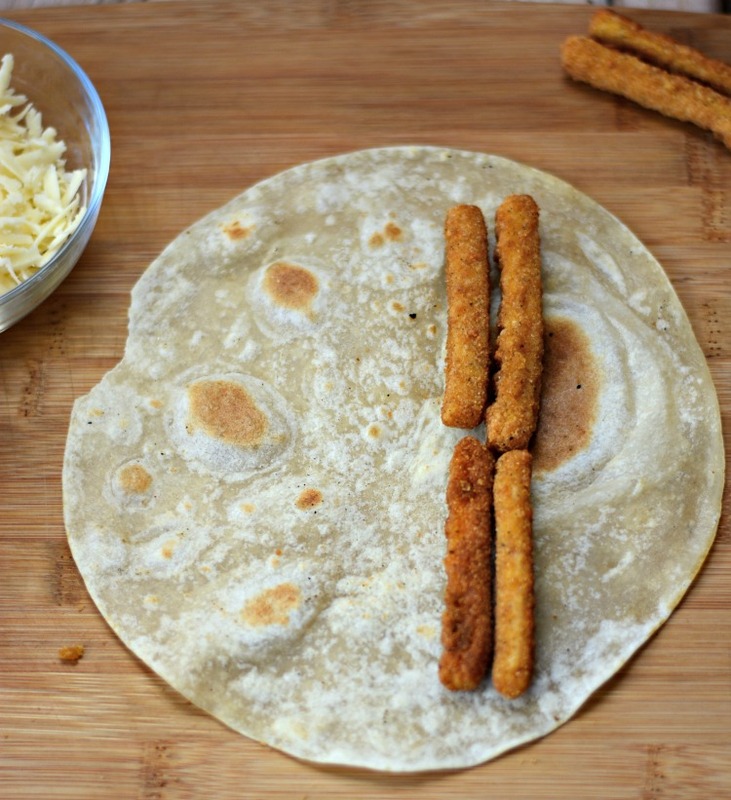 I used four chicken fries in each flauta and placed them slightly off center to the right so I'd have room to roll them up. Cover the chicken fries in as much or as little buffalo sauce as you like. I just eyeballed it, but we like our buffalo sauce. Then sprinkle with cheese. If I had been thinking straight, I would have gotten bleu cheese to put in the flautas but for some reason, I got white cheddar. Not sure what I was thinking – go for the bleu cheese! … and just keep rolling until they are completely rolled up. Place with the rolled flap side down on to a greased baking sheet, spray the flautas with a little more cooking oil, and bake at 400 degrees for roughly 15-20 minutes or until golden brown. 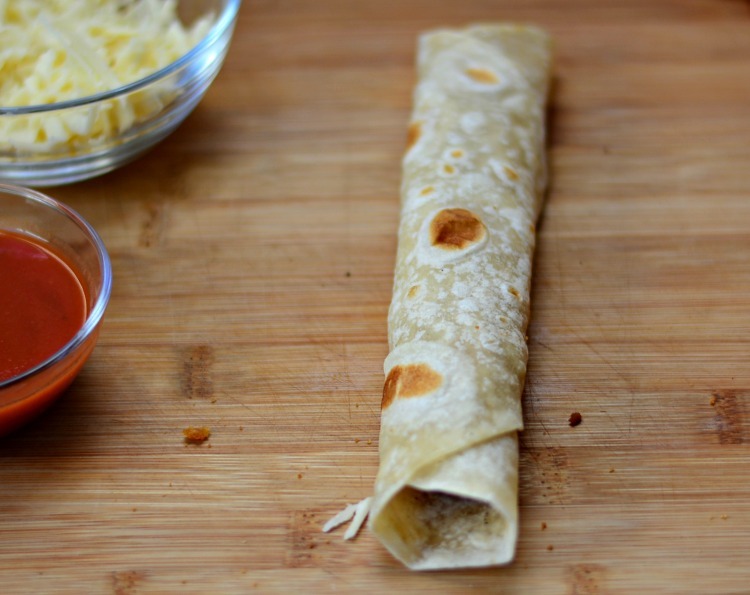 I didn't need toothpicks – the flautas baked themselves closed and stayed that way. Serve with a side of ranch or blue cheese dressing! Cook Tyson Chicken Fries according to directions on package. Let the fries cool so they are easy to handle. Place 4 fries to the right center of the tortilla. Drizzle buffalo sauce over the fries, about 1/2 teaspoon - more or less to taste. Sprinkle with desired about of cheese. 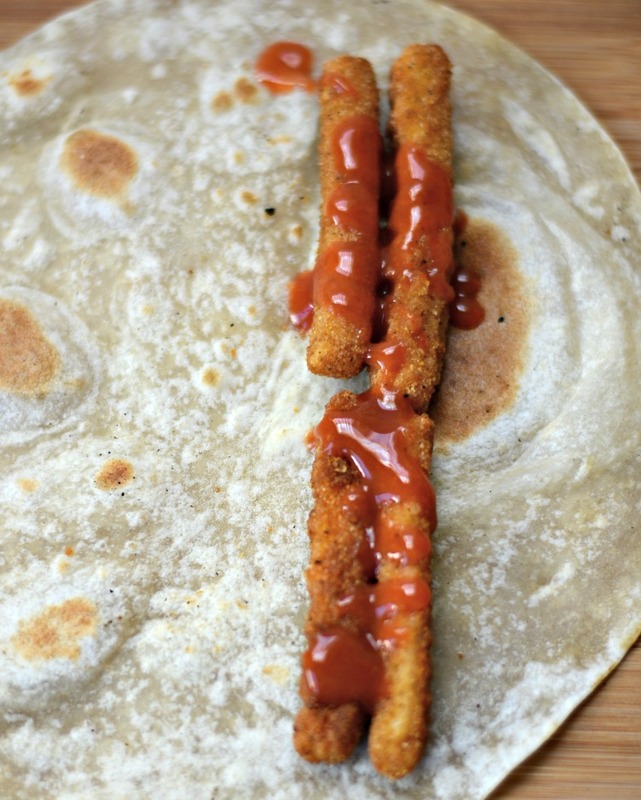 Tightly roll tortillas around the chicken fries and continue until completely rolled up. Spray a baking sheet lightly with cooking oil. Place flautas roll side down on the sheet. Lightly spray tops with cooking spray. Bake at 400 degrees for 10-15 minutes until tops of flauts are browned. Serve warm with Kraft dipping sauces. 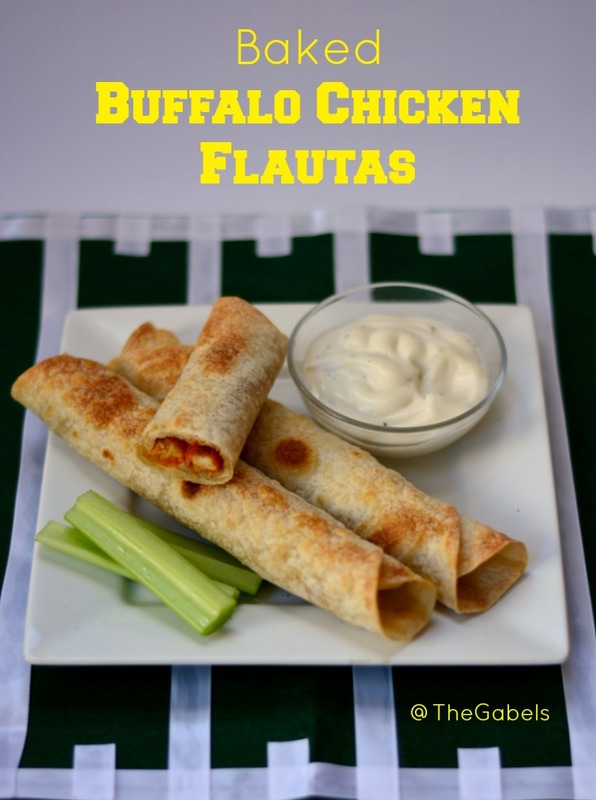 What a great idea for your Buffalo Chicken Baked Flautas, they look delicious. Thanks so much for sharing with Full Plate Thursday and have a great weekend! 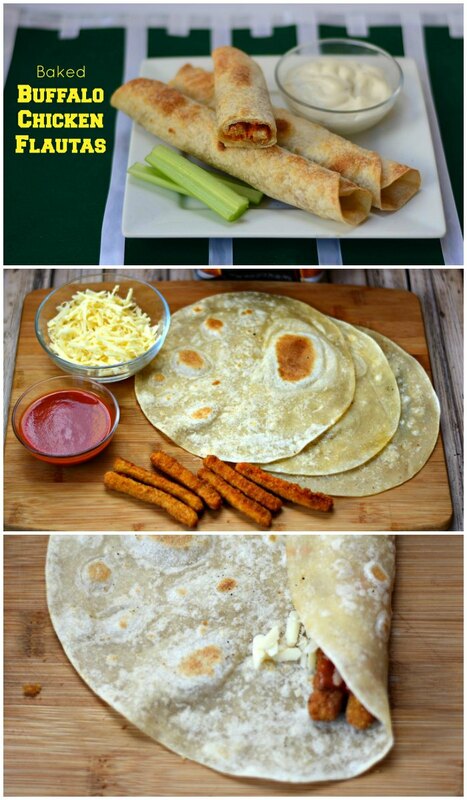 this looks so good I cant wait to make this. Thanks for linking up at Tell Me About It Tuesday. We hope you hop over and share with us again next week. Last night, I made Tyson Chicken Fries and cut them into bite size pieces, put them on top of some angel hair pasta, poured a little marinara sauce, then topped it with some parmesan cheese. Super delicious and super easy. What an easy idea for game day. 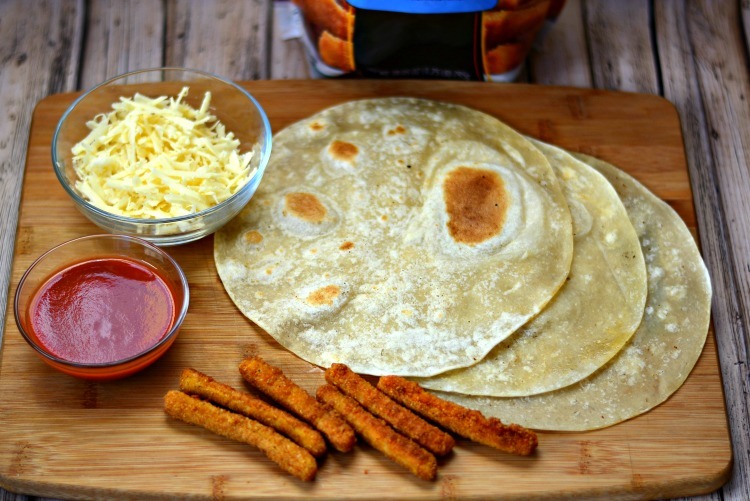 Love how you used the dressing to complement the flautas! I haven’t tried any of those yet, but the dressing look fantastic! The recipe is great! Oh those look delicious! We love the Tyson anytizers! The buffalo Chicken is a favorite of ours. And Those sauces! I haven’t seen them in stores before. Yum!